As investigators in the Houston Police Department Vehicular Crimes Division investigate at least four hit-and-run crashes that killed three people since Jan. 23, investigators urge pedestrians to be cautious in and around Houston’s busy roadways, especially at night. At a news briefing, investigators asked for the public’s help in identifying vehicles and drivers wanted in hit-and-run crashes and reminded the public that a Crime Stoppers reward of up to $5,000 is available in each case. Investigators discussed how most accidents involving pedestrians this month involve drivers who fled the scene, a felony crime. Do not walk across the street unless you are at a crosswalk. Take the extra minute or two to walk to a crosswalk. Obey traffic signals of Walk / Don’t Walk. Do not assume vehicles will stop. Make eye contact with a driver; don’t just look at a vehicle. Dress to be seen. Wear light colored clothing if walking at night and carry a flashlight, if possible. Do not wear headphones or talk on a cell phone while walking across the street. Be careful in construction zones. Be cautious, alert and aware of your surroundings. Avoid distractions (like talking and texting on cell phones). Always be on the lookout for pedestrians and bicyclists. Stop and render aid if you strike a pedestrian or vehicle. Stop and render aid even if you do not have a driver’s license or insurance. In most instances, those are Class C misdemeanor citations issued as opposed to felony charges for fleeing the scene. 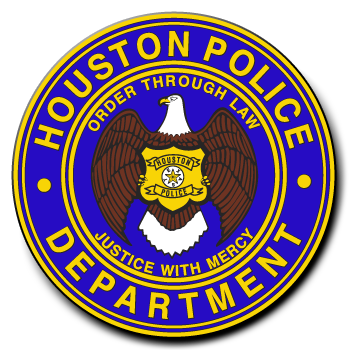 Anyone with information in any hit-and-run crash in the city limits is urged to contact the HPD Hit and Run Unit at 713-247-4065 or Crime Stoppers at 713-222-TIPS, where tips remain anonymous.